1 bike. 2 days. 190 miles. More than $11,000. Like many people, Franklin Bradley's life has been touched by cancer. When he was 16 years old, his father, Loren Bradley, died of a brain tumor. Franklin's uncle also passed away after battling mesothelioma (cancer that originates in the lining of internal organs, such as the lungs), leaving behind a wife and two young children. For many years, Franklin — internal communications manager for Architect of the Capitol's (AOC) Communications and Congressional Relations — searched for a cancer cause he could support. "I wanted to put my efforts into something that would make a meaningful difference," Franklin explains. 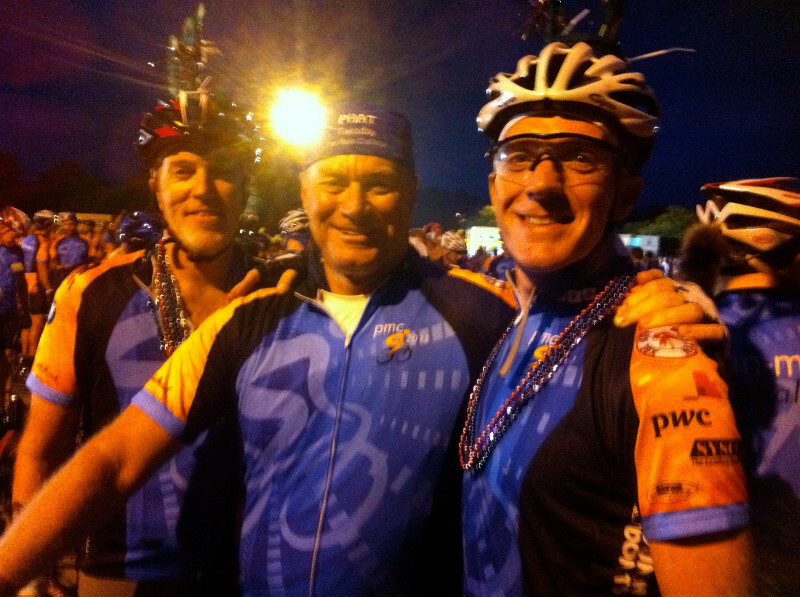 Three years ago he discovered the Pan-Massachusetts Challenge (PMC), an annual bike-a-thon that raises money for cancer research and treatment at the Dana-Farber Cancer Institute. Since 1980, the PMC has raised $338 million and donates 100 percent of every rider-raised dollar directly to the Institute, raising more money than any other single event in the country. 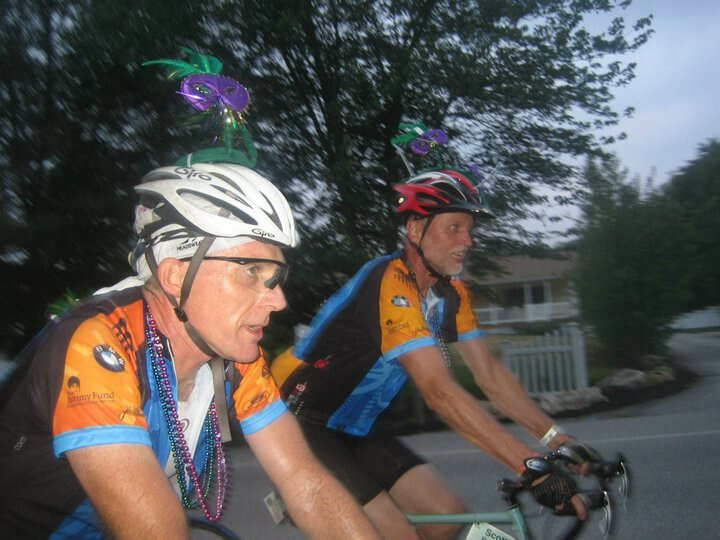 In 2011, more than 5,500 cyclists rode in the event that took them through 46 towns across Massachusetts. This year, Franklin's two-day ride on August 4 and 5 began in Sturbridge, and ended in Provincetown, Massachusetts. He raised $11,000, putting his three-year total amount raised at almost $30,000. One way he creatively raises funds is to set three goal amounts as a challenge to his friends and family. If he raises certain amounts by Father's Day every year, he will shave his beard, head and legs. This year his two young children, Solomon and Miriam, had the honor of clipping his hair and beard. "I do this for my kids because I want cancer to be preventable — and if not preventable, then treatable. When they grow up, I want them to be shocked to hear that there was no cancer treatment for their grandfather's cancer — because by then I'm confident there will be," Franklin says. Knowing how many people his efforts help keeps Franklin riding in all types of weather, all year long. The only training he does to prepare for the grueling two-day ride is his daily commute to and from work, a round trip of 27 miles on his bike. Franklin's five older brothers and sisters, as well as his two cousins who lost their father to cancer, are his biggest supporters. His cousin Elizabeth De Witt designs the jersey he wears during the ride and also creates and maintains his fundraising website. If someone contributes $100 to his fundraising goal, Franklin will put a photo of that person (or family members) touched by cancer on his jersey. "It's a way to tell the stories of people affected by cancer," Franklin explains. During the ride, hundreds of people volunteer to feed the riders at designated stops and thousands more line the route, cheering on the participants. "I never fail to get choked up when I see people, especially kids, holding signs that say 'I'm alive because of you.' It's such an amazing motivator when you see that. It makes it all worth it." The mission of Dana-Farber Cancer Institute is to provide expert, compassionate care to children and adults with cancer while advancing the understanding, diagnosis, treatment, cure and prevention of cancer, AIDS and related diseases. As an affiliate of Harvard Medical School and a Comprehensive Cancer Center designated by the National Cancer Institute, Dana-Farber also provides training for new generations of physicians and scientists, designs programs that promote public health particularly among high-risk and underserved populations, and disseminates innovative patient therapies and scientific discoveries to its target community across the United States and throughout the world. Dana-Farber Cancer Institute's ultimate goal is the eradication of cancer, AIDS and related diseases and the fear that they engender. Above all else, Dana-Farber makes a difference by relieving the burden of disease now and for the future through its research, clinical care, education, outreach and advocacy. This story is also published in the Spring 2012 issue of AOC's Foundations & Perspectives.